Just two days after announcing their Heavyweight Grand Prix would finally come to its long-awaited conclusion on May 19th, Strikeforce has released a video promo showcasing the tournament’s finalists. 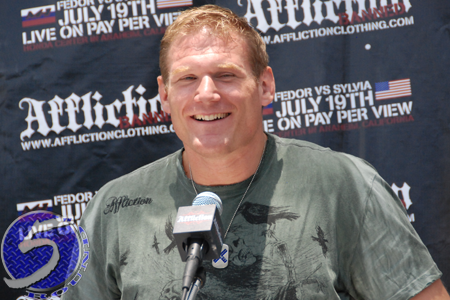 Josh Barnett (Pictured) and Daniel Cormier will collide to win THIS monstrosity and rights to be the only one to ever don a Strikeforce heavyweight belt. The eight-man tournament started out with much promise over 13 months ago, but unexpected exits by Fedor Emelianenko and Alistair Overeem took plenty of wind out of the tourney’s sails. Although a specific venue hasn’t been announced to host the shindig, the HP Pavilion in San Jose, California is the frontrunner to do the honors. Showtime will broadcast the card’s main bouts. No other scraps for the event have been announced at this time.